A SmartCoin is a cryptocurrency whose value pegs to that of another asset, such as the US Dollar or gold. SmartCoins always have 100% or more of their value backed by the BitShares core currency, BTS. Converting them back to BTS is possible at any time at an exchange rate set by a trustworthy price feed. In all but the most extreme market conditions, SmartCoins are guaranteed to be worth at least their face value (and perhaps more, in some circumstances). Like any other cryptocurrency, SmartCoins are fungible, divisible, and free from any restrictions. The traditional approach to creating a stable asset is to accept deposits and issue a digital token as a claim receipt. Under this approach, the token has the market value of a dollar, discounted by any credit risk associated with the issuer. This can work well for transactions, but less well as a form of savings. History has repeatedly proven that issuers eventually go bankrupt due to fraud, incompetence, or government intervention. More recent approaches have used a cryptocurrency as collateral in a contract for difference. Under this approach, two parties take opposite sides of a trade, guaranteeing one party price stability and the other party leverage. This approach works as long as sufficient collateral exists and settling the contract with an honest 3rd party, with a price feed, is possible. Unfortunately, a contract for difference is not fungible and has an explicit settlement date, which means it is not useful as a currency. Anyone with BitUSD can settle their position within 24 hours at settlement price. The price feed is the median of many sources, updating at least once per hour. There is a simple metric for testing the validity of our claim that 1.00 BitUSD is always worth at least $1.00 USD. if you can find someone willing to sell 1.00 BitUSD for $1.00, it would be the cheapest option for buying BTS, which demonstrates the value 1.00 BitUSD. This means that 100% of the buying demand for BTS would be available to give liquidity to BitUSD holders as a priority over BTS holders. Proving these conditions are met will be done in the following sections. When deciding a price at which to enter a short order, a trader must consider the risk of forced settlement. In this case, no trader will attempt to short at or below the price feed, to avoid settling at the price feed. In fact, a smart trader would allow enough of a spread to account for the risk of being forced to settle at a feed price that was off by a small amount. In practice, the risk posed by the feed error balances equally between being in the favour of the short and in the favour of the long, leaving only the risk of forcing them out of their position at an inopportune time. A short can minimize their exposure to the feed by providing enough collateral to keep far above the least collateralized positions, therefore, they’re very unlikely to face forced settlement at the feed or at an inopportune time. In practice, the only way new BitUSD enters circulation is if there is someone willing to pay enough of a premium to	convince a short to provide guaranteed liquidity at the price feed on demand, while also covering the cost of exchange rate risk. This premium will be higher for the backing cryptocurrency in a bear market and will be lower in a bull market. Someone who is short has only one way to exit their position: by buying BitUSD off the market. This means that a short must also factor in the risk that the premium may change. If a short position enters in a bull market with a 0.1% premium, it may be forced to exit during a bear market with a 5% premium. In this event, a short position faces exposure to both exchange rate of the dollar vs. BTS and the premium risk. On the other hand, a short entered during a bear market with a 5% premium may get to cover during a bull market with a .1% premium. For all intents and purposes, the premium should move in the same direction as the price, and thus speculators who only care about relative price changes can ignore the premium. The very first buyer of BitUSD will have to pay the lowest premium set by the shorters. For the sake of discussion, let’s assume creating the first BitUSD was in a bear market and cost $1.05 to create. The holder of that BitUSD has two options: sell it on the market for $1.04, or request forced settlement for $1.00. Clearly, the forced settlement option would only be the case in situations where there was a decrease in total demand for BitUSD and there were no offers to buy it above $1.00. As a trader only looking to trade back and forth between BitUSD and BTS, this premium doesn’t matter. Such a trader exposes themselves to volatility in the premium, but that risk is limited to $0.05 in this example. In practice, the premium should be relatively stable and predictable. A buyer with dollars, looking to buy BTS, knows that they can buy $1 worth of BTS (plus the current premium) with 1 BitUSD. He also knows that this premium can never be negative, because of the option to force-settle at the price feed. In this situation, he can know with certainty that if he can convince someone with BitUSD to sell for $1.00, he can buy more BTS than if he simply buys BTS with his dollars directly. The higher the premium, the more incentive exists to buy BitUSD for $1.00. Therefore, because all positions and trades are visible on the blockchain, all of this trading activity factors into the price, minimizing any potential profits by attempted manipulation. Merchants and customers are free to negotiate the best way to split the premium, and the free market will take care of the rest. In the meantime, all participants can rest assured that BitUSD is always worth at least $1, and can consider the premium for entering the ecosystem as a one-time fee. There is always the concern of price manipulation. Someone with a large amount of money on both sides of a trade can use their funds to manipulate the markets and thus the price feed. If the amount of money they lose manipulating the markets is less than the amount of money they can gain by manipulating the price feed, then it will be profitable to manipulate the market at the expense of either the BitUSD longs or the shorts. A low-collateralized short that sees a large force-settlement order requested can attempt to manipulate the markets and thus the feed against the BitUSD holder. Pricing the risk of price manipulation factors into the premium on BitUSD charged by the shorts and therefore is already a part of the market. If price manipulation became a serious problem by causing very high premiums, then it could be dealt with by the price feed producers. They can adopt a moving average over wider time windows to increase the difficulty of short-term manipulation. A variety of algorithms would work to estimate a “fair price” that keeps BitUSD valued at least $1.00. All guarantees of SmartCoins are subject to the caveat that a SmartCoin can never be worth more than the collateral backing the least-collateralized short position. In normal market conditions, the value of the collateral is always more than sufficient, but, from time to time, markets can rapidly revalue the collateral. If this revaluation happens faster than the short positions can be forced to cover, the result is liquidation of all SmartCoins at the exchange rate of the least collateralized short position. This is similar to an insolvent bank converting its deposits to equity. User-issued SmartCoin managers can experiment with different parameters such as collateral requirements, price feeds, force settlement delays and forced settlement fees. They also earn the trading fees from transactions involving the issued asset and therefore, have a financial incentive to market and promote it on the network. The entrepreneur who can discover and market the best set of parameters can earn a significant profit. The set of parameters which entrepreneurs can tweak is broad enough that SmartCoins can implement a fully functional prediction market with a guaranteed global settlement at a fair price, and no forced settlement before the resolution date. SmartCoins are a powerful tool for everyone from speculators and savers to traders and entrepreneurs.  The BitShares platform provides a toolset with which innovators can experiment to find optimal currency solutions using free market discovery.